Apple Graphics specializes in vehicle wraps, which includes all types of racing vehicles. 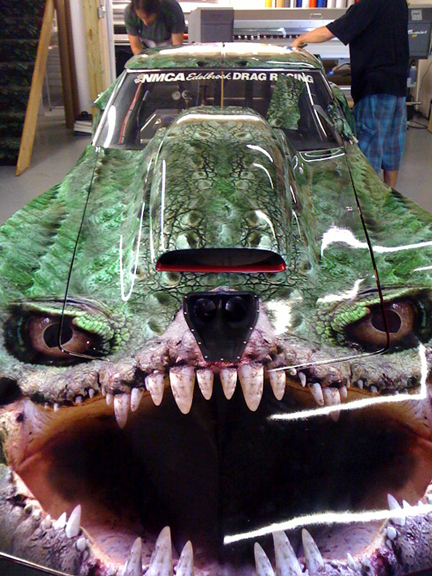 We wrap any kind of racecar, motorcycle, go-cart, boat, and any other racing vehicle. Just like other vehicle wraps, racing wraps are designed with the purpose of making the vehicle stand out and get noticed. Racing wraps are especially intriguing to us, since the designs are usually more eccentric and creative. With our unique designs, like the 'Gatorvette' above, they will definitely catch people's attention at the track or at a show. Apple Graphics enjoys working directly with the customer to ensure the wrap is exactly what they dreamed of. Racing vehicle wraps are the most popular, and cost-effective, way to customize a racecar. Just like wraps on typical vehicles, racing wraps last for years and withstand all weather conditions. A custom digital wrap makes the vehicle look brand new! It completely changes, and improves the appearance of the vehicle. 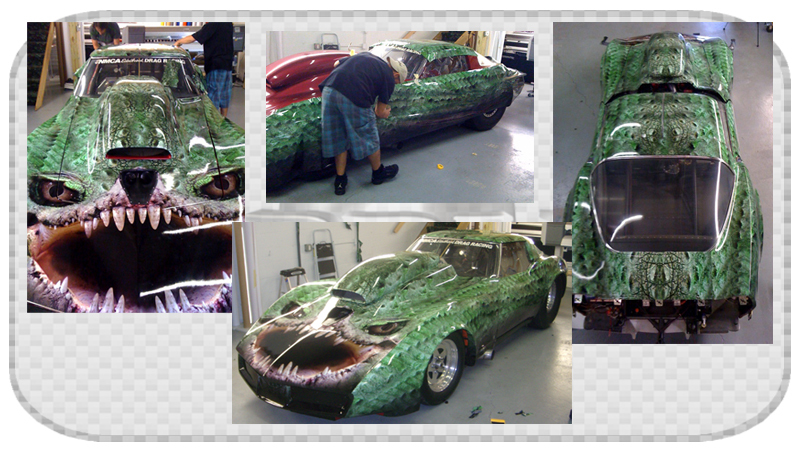 After finishing the 'Gatorvette', we are looking forward to wrapping more racing vehicles in the future.